All our units of measurement of time and space are not random but based on observations of natural universal geometry and proportions. See also my article about gridwork, and links to other decoding the grid articles on the right side of this blog for further explanations about this process. This will be a brief overview destined for those who would like to do Gridwork there. For deeper analysis of the grid please refer to other decoding the grid articles. 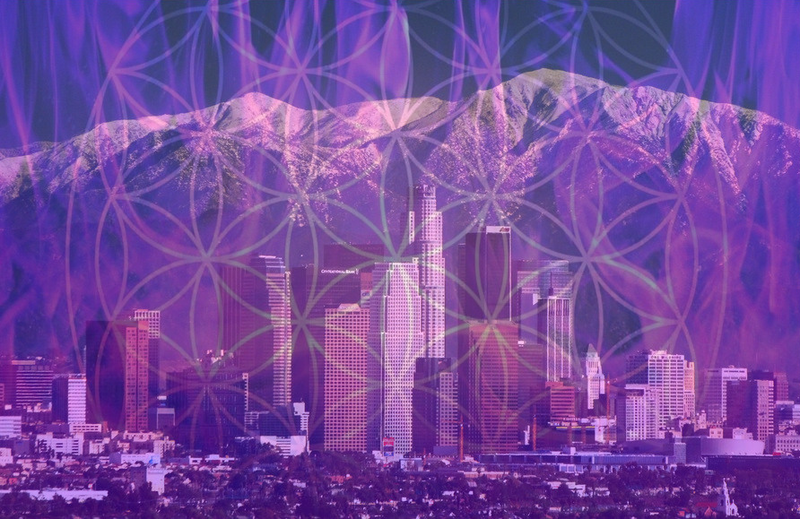 I've noticed five pyramids in this city, each on major centers. 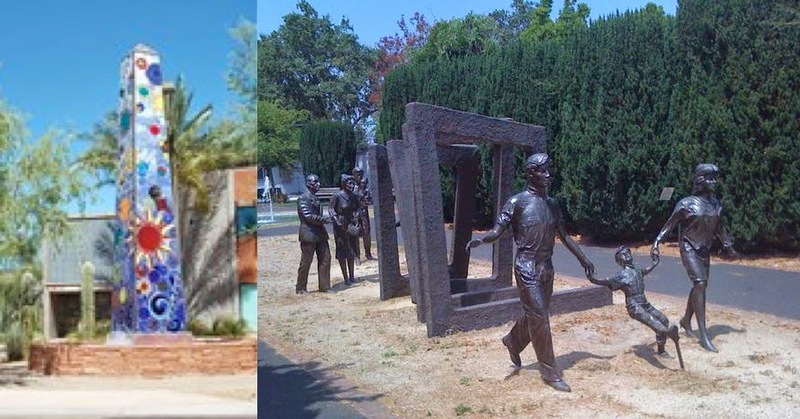 The building you see on the right was officially built to ressemble a punch card, the ancestor of computer floppy disks. 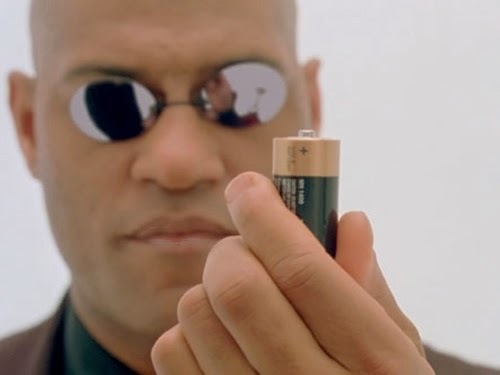 This reminded me of theories saying that cities are built as computer circuits, transmitting and stocking energy and data. 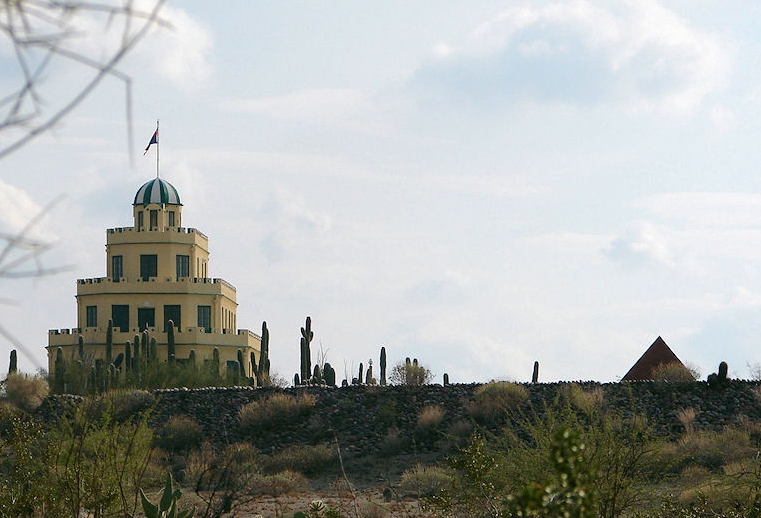 There's another pyramid next to Tovrea castle, one of the most famous sites of Phoenix. The pyramid is a tribute to the Tovrea family who owned the castle. 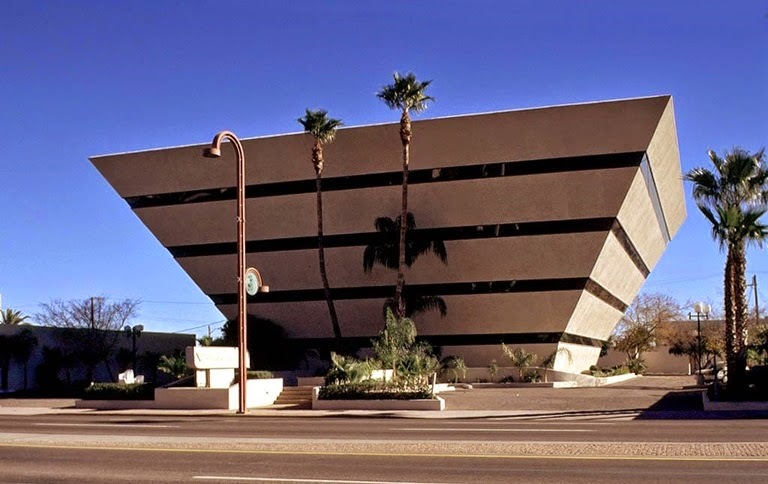 Another main center in Phoenix is the city hall, with the municipal court next door, and many governmental, banks and corporation centers around it. I think it's pretty clear we have a vortex here. Another spot i noticed is the obelisk in 'cancer survivors park' (really ?). There's also a statue in that park that looks like occult to me. Capstone cathedral, Tempe city hall and papago park are in straight line alignement. 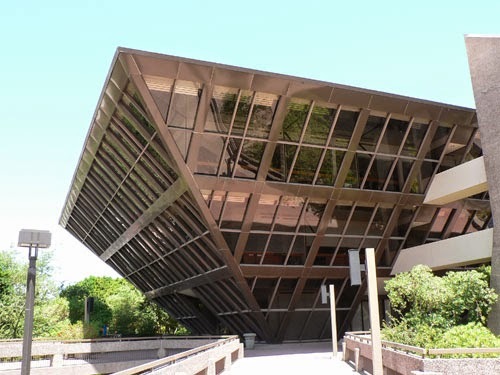 The distance from capstone cathedral to Tempe city hall is 11,11 miles. To hole in the rock 8,88 miles. To the pyramid in papago park, 16180 yards, which is phi, the golden number. The distance from Tempe city hall to the hole in the rock is 2.22 miles. The distance from Pyramid on Central to the pyramid near Tovrea castle is 111000 yards. 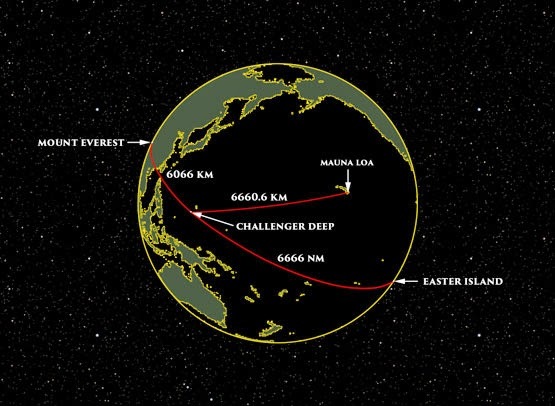 To the obelisk in cancer survivors park 2,718km, which is the mathematical constant e, important in sacred geometry. To Phoenix city hall, 4,444km. To Tempe city hall 7,777 nautical miles (the unit used by boats and planes). To Arizona state capitol 2.718 NM. The distance from the city hall to the papago pyramid is 6,666 NM. To the obelisk in cancer survivors park 1,11 miles. To Tovrea castle, 6,066 miles. 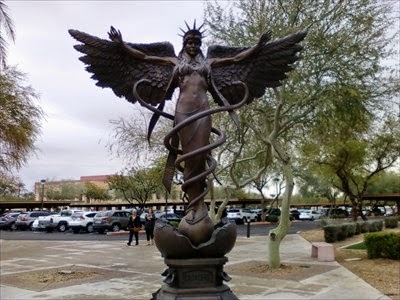 The distance from the Isis statue in Scottsdale to the obelisk in cancer survivors park is 8.88 miles. To the papago park pyramid 4,444km. To Arizona state capitol (with the other Goddess statue) 55555 feet. The distance from Arizona state capitol to the pyramid in papago park is 8,88 miles. To Tempe city hall 16180 yards. The distance from Tempe city hall to the obelisk in cancer survivors park is 14444 yards. To Tovrea castle 4444 yards. The distance from Tovrea castle to papago park pyramid is 1,618 miles, which is phi. It's interesting to note that an important event in Phoenix construction is the massacre of an Apache tribe by the pioneers, in skeleton cave in the mountains east of Phoenix next to salt river, in 1871. This land was sacred to them, which didn't fit with the plans of the pioneers of building the salt river project there, Phoenix's main electricity and water company. Skeleton cave is situated 66.6km from the vortex 'statue' in city scape park (next door to the city hall). The ufos were seen above 'superstition mountain', which is situated 55555 feet from skeleton cave. The distance from this mountain to both the inverted pyramid on central, and Phoenix city hall, is 77.7km. To papago park : 66.6km. Witnesses report having seen the same ufos that same night in Rainbow valley, which is situated 66.6 NM from superstition mountain. 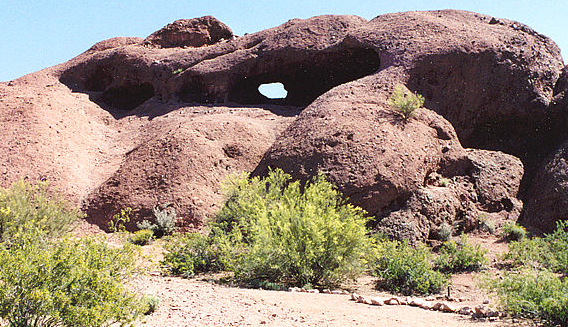 Tuzigood, a famous sacred historic site further north in Arizona, which was built by local natives, is situated 88.8 miles from the inverted pyramid on central, and 161800 yards (phi) from both Arizona state capitol and the papago park pyramid. The CN tower in Toronto, highest man-made structure in north America, is situated 3033km from the Tovrea castle. There is surely more to discover here, but this already shows how the grid is built, how physical events are tied to the energetic structures, and where to go to work on the local grid. If you want guidelines about what to do to reconnect the grid with Light, click here. You missed the pyramid tomb of Charles Poston on Poston Butte aka F Mountain outside of Florence, Arizona. It is near the east end of the Hunt Highway and not too far from Sate Route 79.